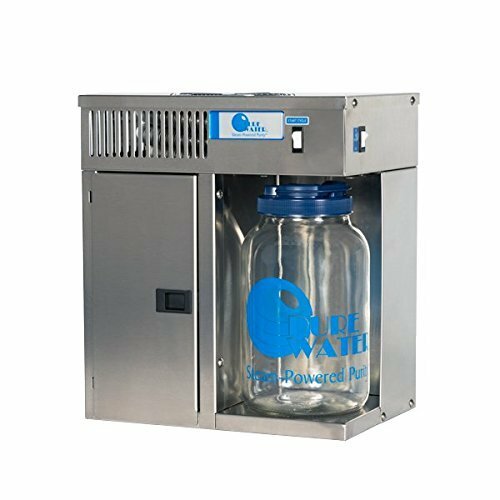 "The Pure Water Mini-Classic CT is a compact, countertop steam water distiller that produces high-purity distilled water from virtually any fresh water source. This appliance does not require installation and is perfect for small families, apartment buildings and even RVs." The mini-classic CT is a step up from its cousin, mini-classic II. With a better design, the mini-classic CT continues to bring the purest water to your home at your convenient. Package comes with one mini-classic CT. Produces consistently high-purity vapor distilled water for drinking and cooking. Easily sits on kitchen countertop. Distilled water does not come in contact with plastic. Proudly made in USA. Easy To Use. If you have any questions about this product by Mini Classic, contact us by completing and submitting the form below. If you are looking for a specif part number, please include it with your message.